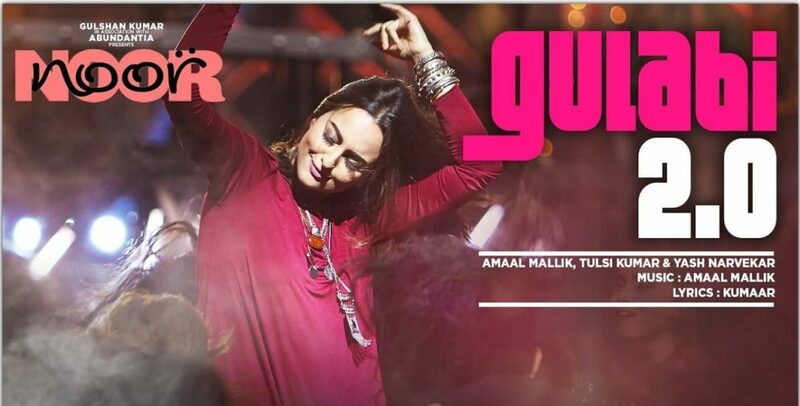 Gulabi this is a new HD Video Song From Upcoming Bollywood Movie Noor. This movie is a comedy and drama bollywood movie. Noor movie is directed by Sunhil Sippy and Produced by Bhushan Kumar, Krishan Kumar, Vikram Malhotra and distributed by T-Series. This movie features are Sonakshi Sinha in the lead role alongside Kanan Gill, Shibani Dandekar and Purab Kohli in the private role in this movie. Noor movie is scheduled for a worldwide release on 21 April 2017. This Video song is sung by Amaal Mallik, Tulsi Kumar, Yash Narvekar and also lyrics penned by Kumaar.